SHE GAVE THEM DIRECTION, PROTECTION AND UNDYING LOVE. WE HAD 65 YEARS OF GOOD AND BAD, BUT ALWAYS WITH LOVE FOR EACH OTHER. WHEN THINGS GOT TUFF I CALLED HER TESS. WHEN I WAS DRIVING SHE CALLED ME , WHO KNOWS WHAT? BUT NEXT DAY TERRY WAS OK. I HAVE A LIFETIME OF MEMORIES TO LIVE ON FROM NOW ON. MAY GOD WATCH OVER HER AND GIVE ME DIRECTION TO LIVE BY. 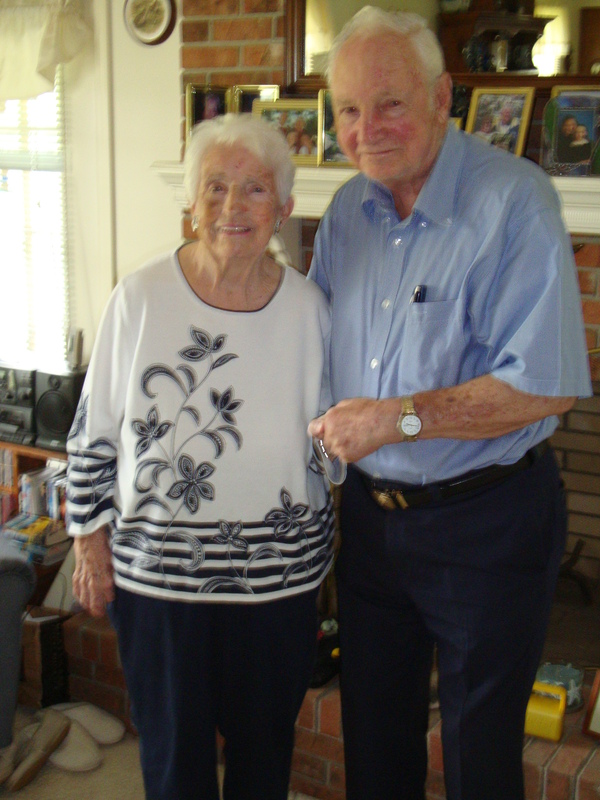 This entry was posted in Aging, life lesson in love, never give up and tagged assisted living, independent living, love. Bookmark the permalink. Beautiful words, by both of you. Miss you Nana!